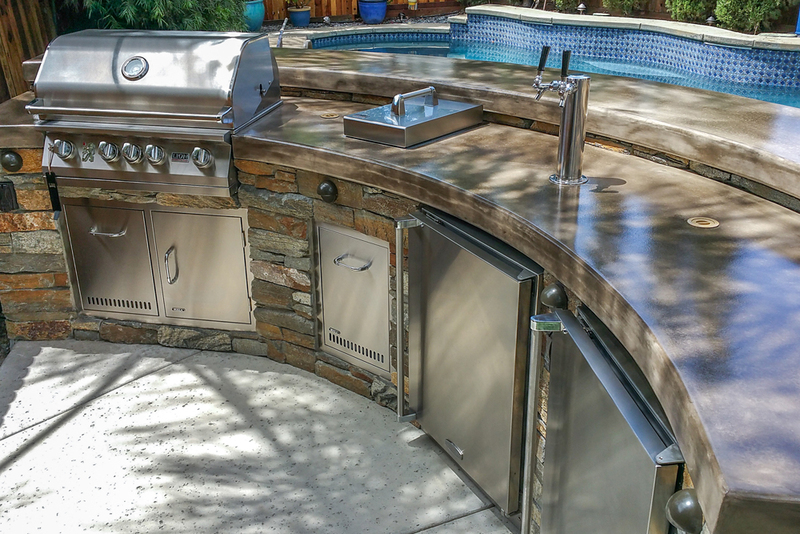 For absolute maximum functionality in minimal space, this outdoor kitchen project takes the cake! 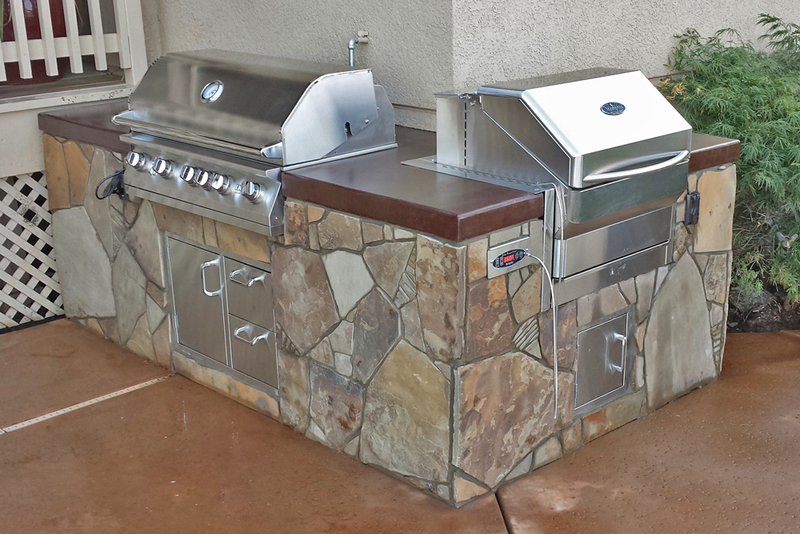 It features counter space and two grills around the corner of the house. 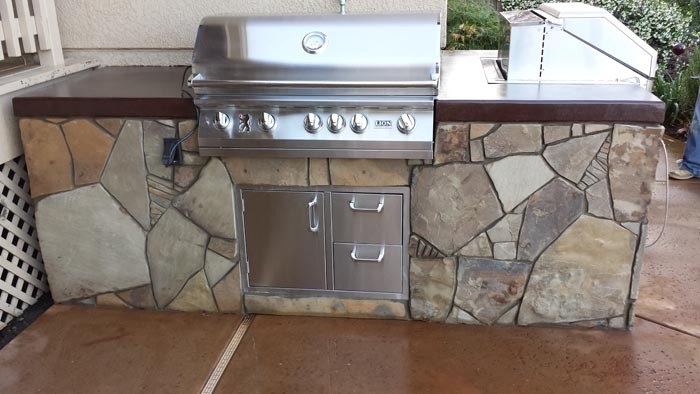 Even if you don’t have any patio space at all, this is a design that will let you prepare a lot of delicious food for your friends and family! 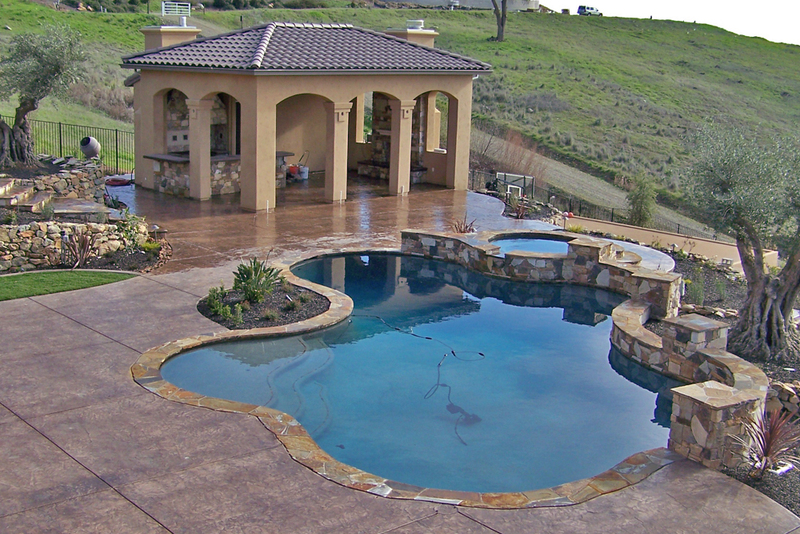 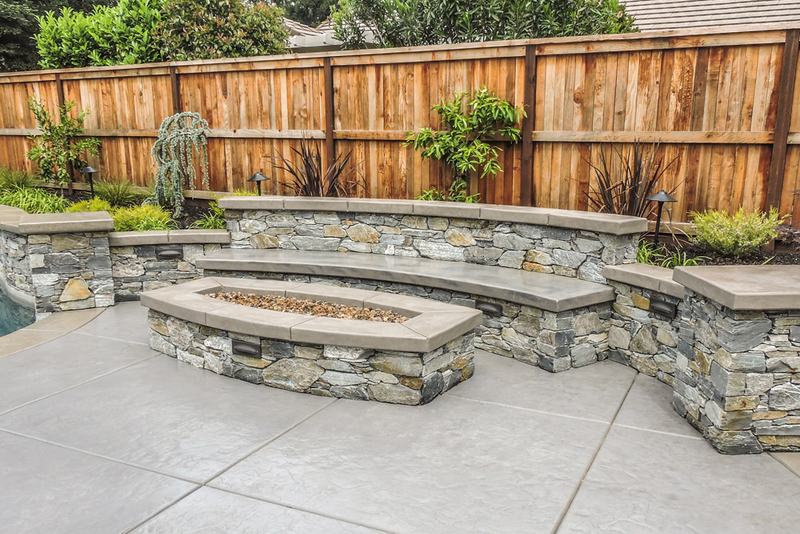 It’s a perfect design whether you have a large space or a tiny little deck at your Sacramento, CA home. 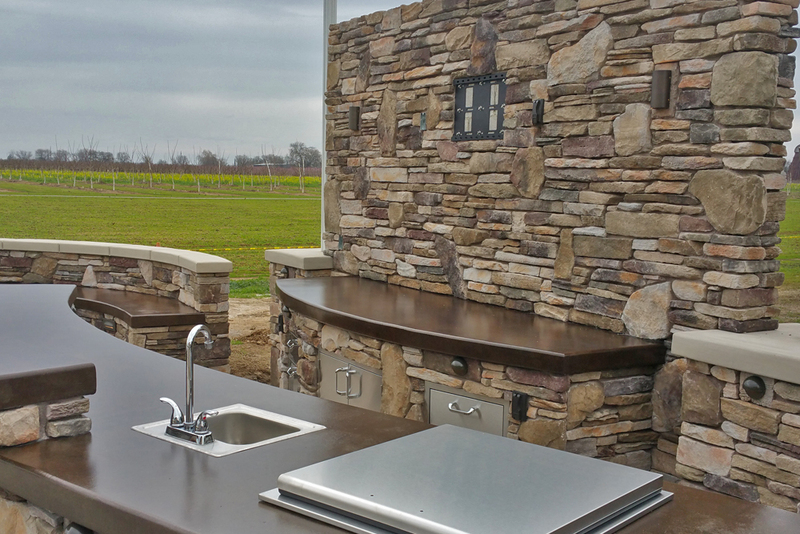 After all, efficient use of space is always useful, regardless of how much space is available. 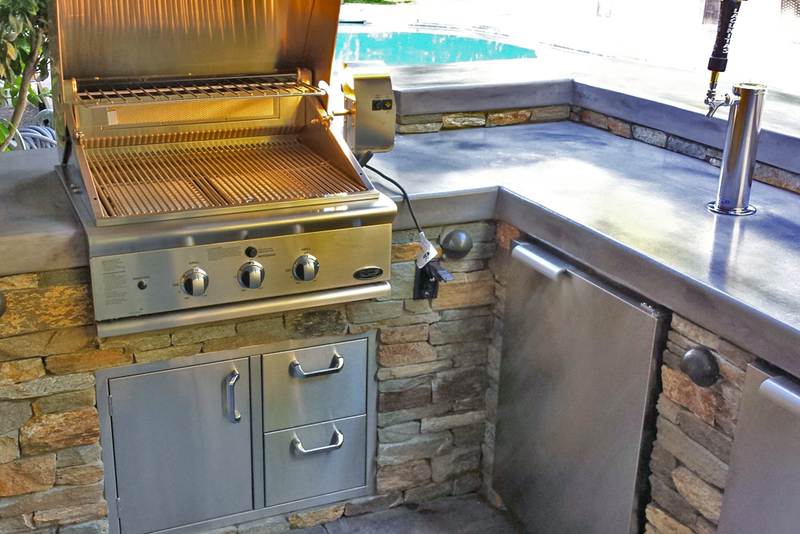 As with all our outdoor kitchens, we used top quality materials on this one for the ultimate in luxury. 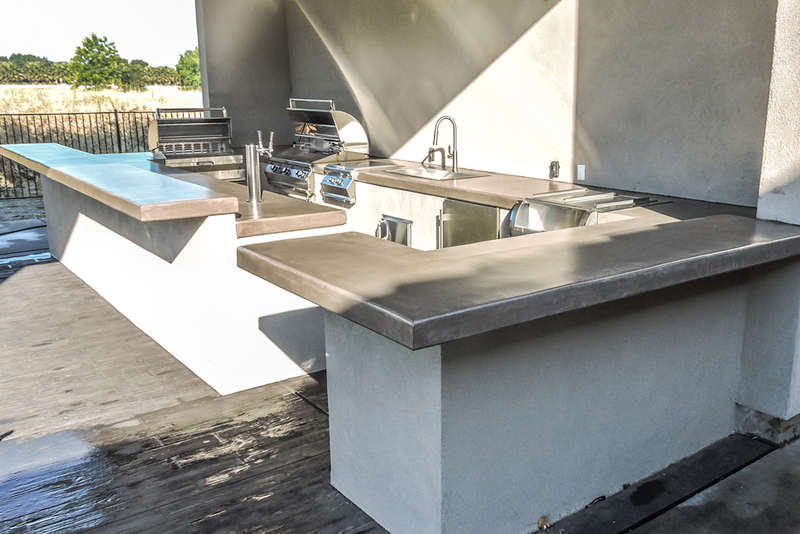 The high quality concrete counters are stained to a dark mahogany color that looks rich and lush, and the natural sandstone walls of the outdoor kitchen give the whole thing a rustic yet sophisticated look. 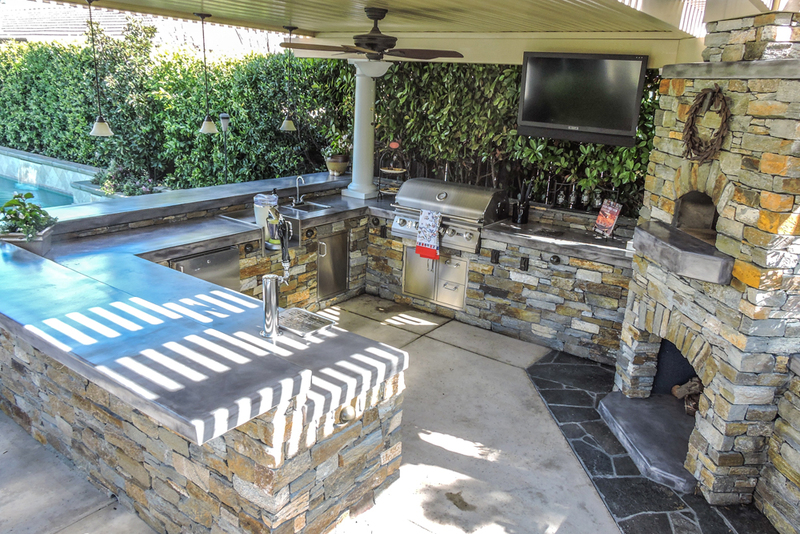 With two grills right next to each other, you can make a lot of food in a very small space, which leaves the rest of your patio or yard free for guests to lounge or mingle. 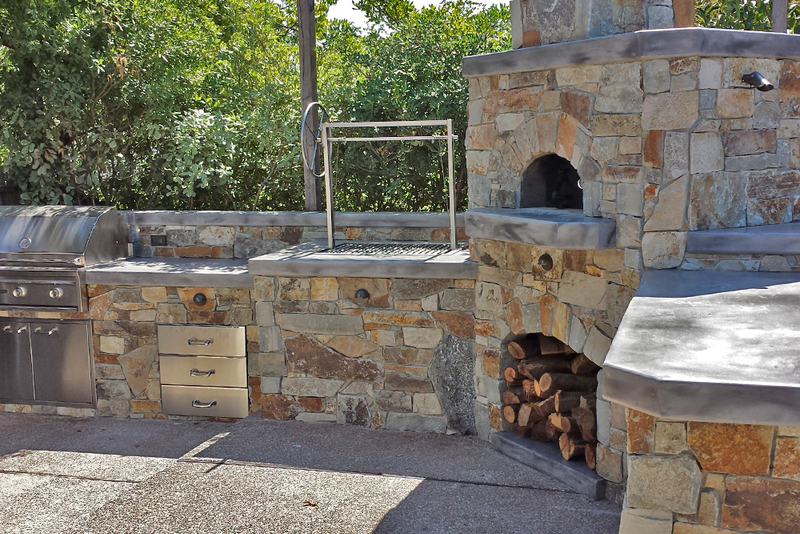 There is no wasted space in this small outdoor kitchen, just a ton of functionality! 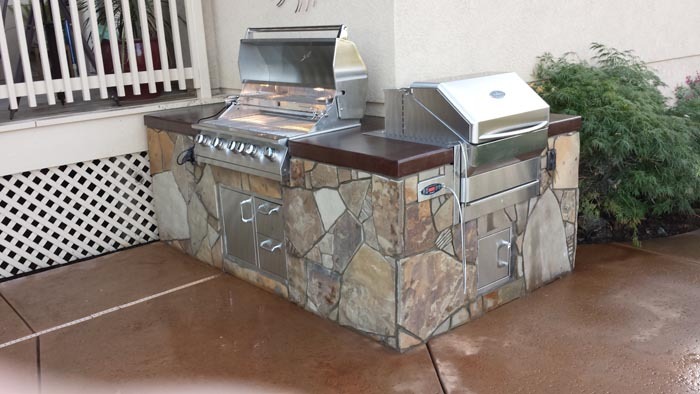 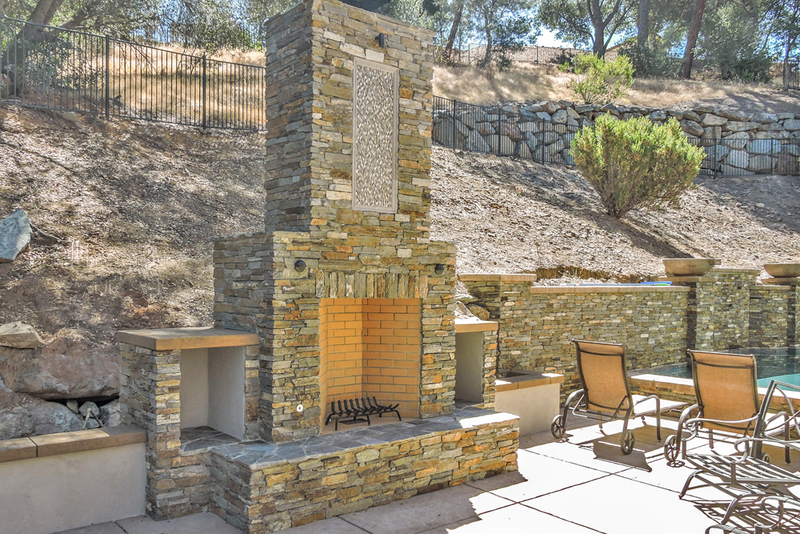 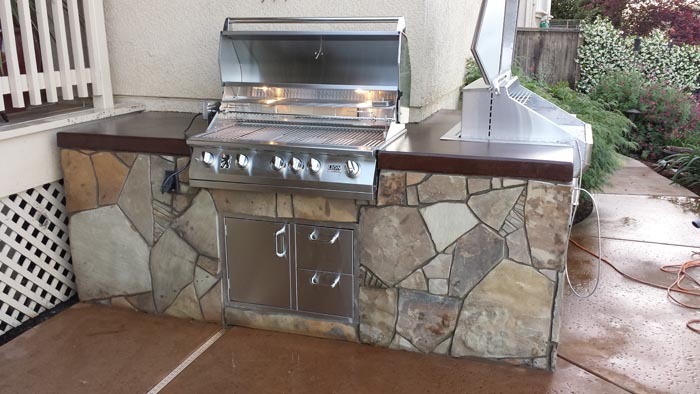 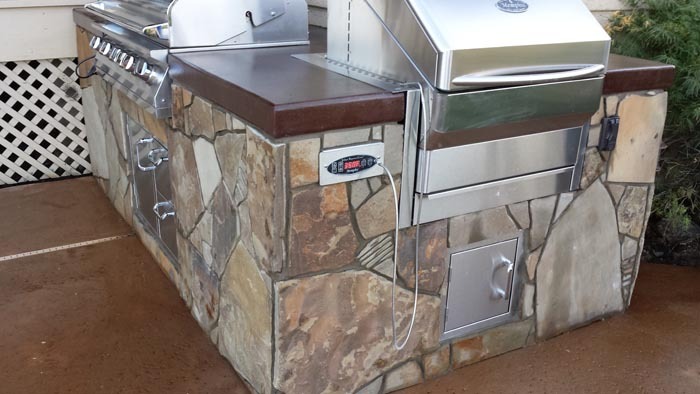 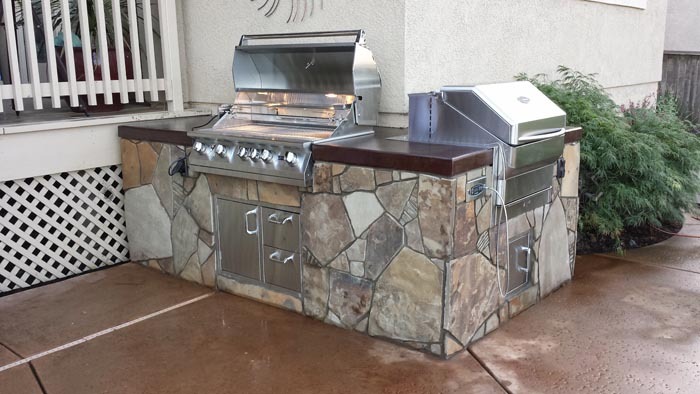 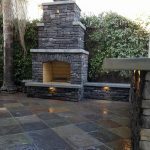 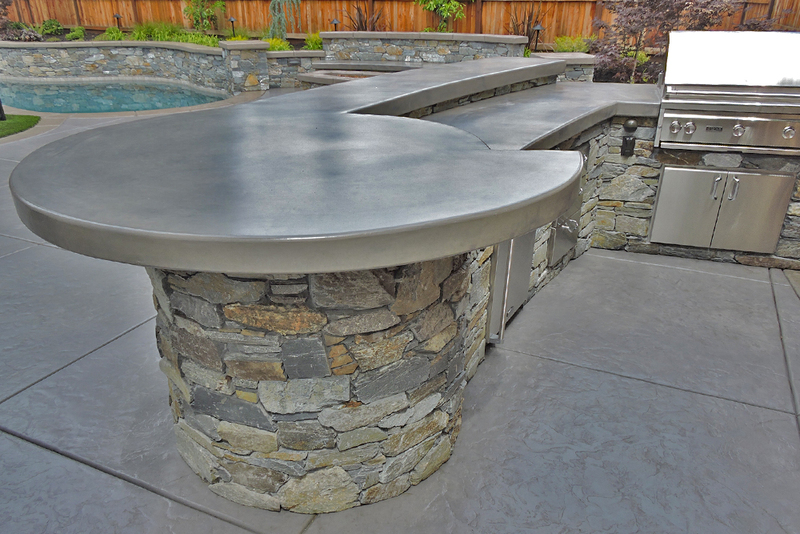 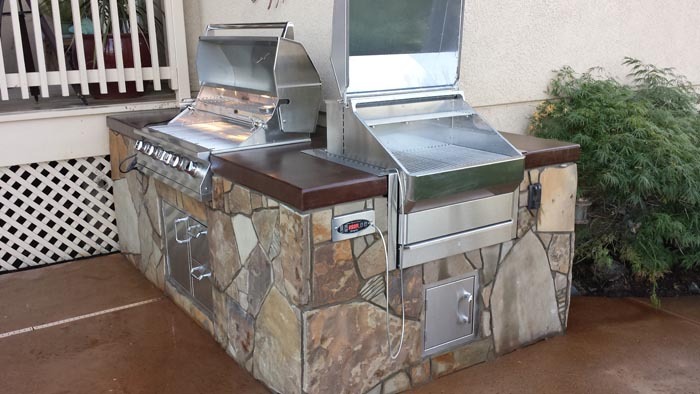 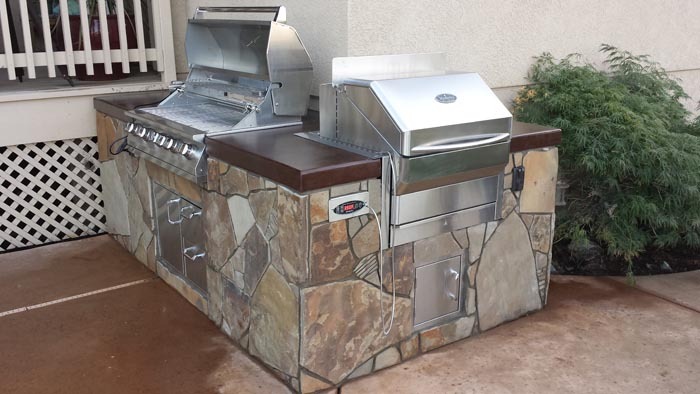 If this outdoor kitchen project gives you some ideas about what you might like in your own home in the Sacramento, CA area, please don’t hesitate to contact us and let us know what your ideas are. 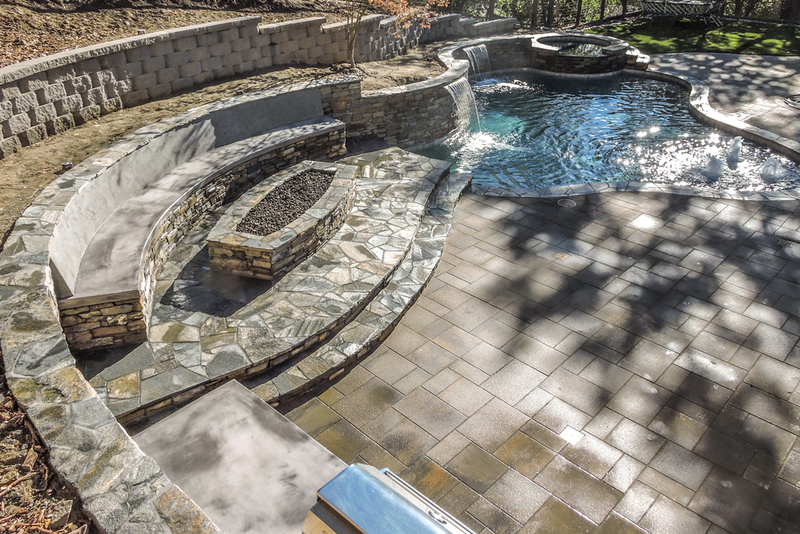 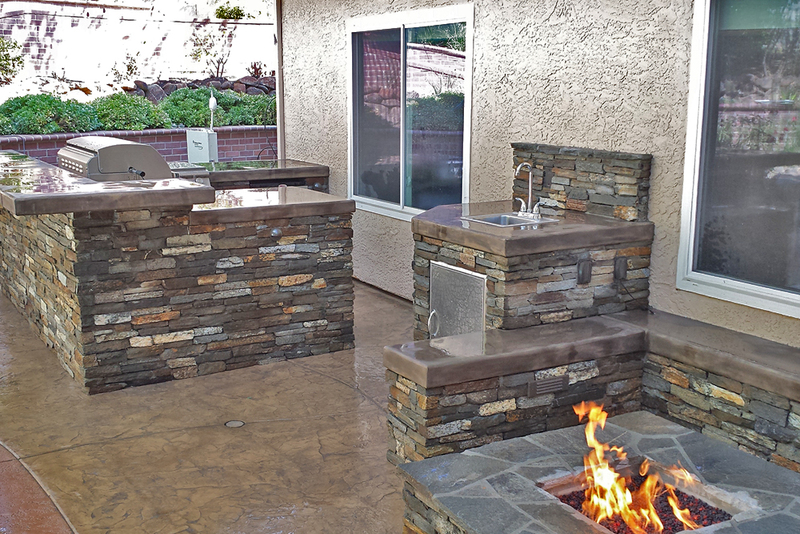 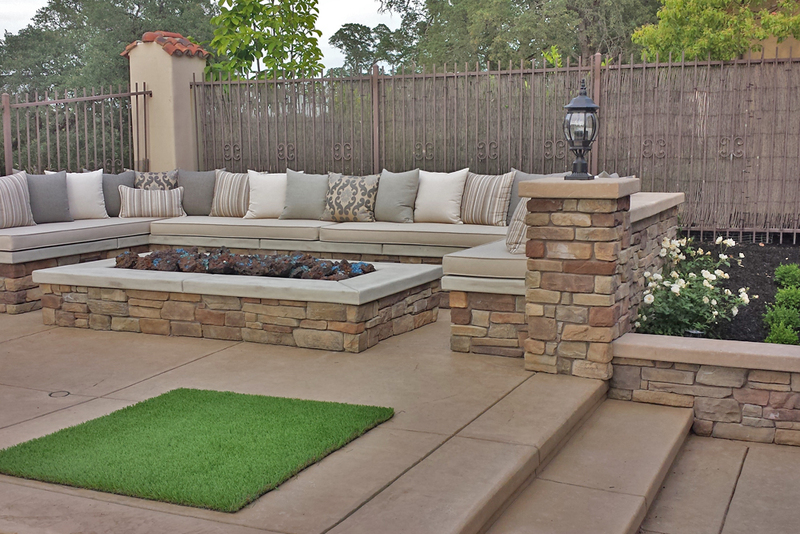 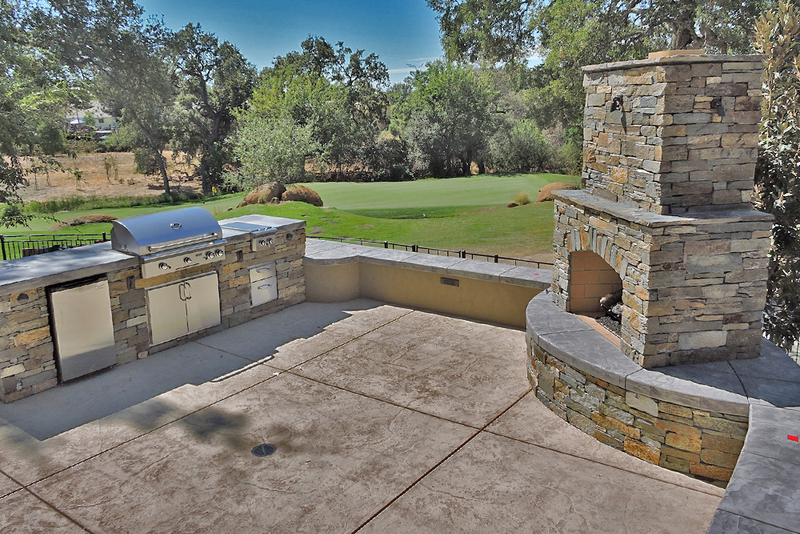 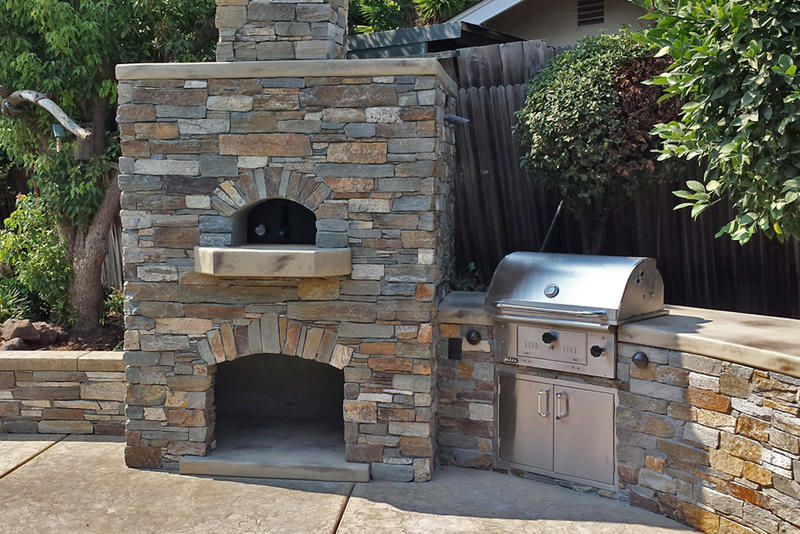 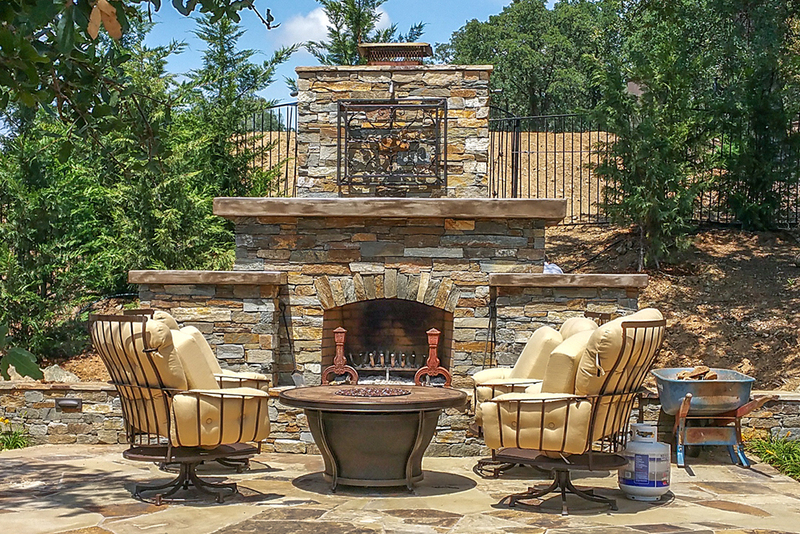 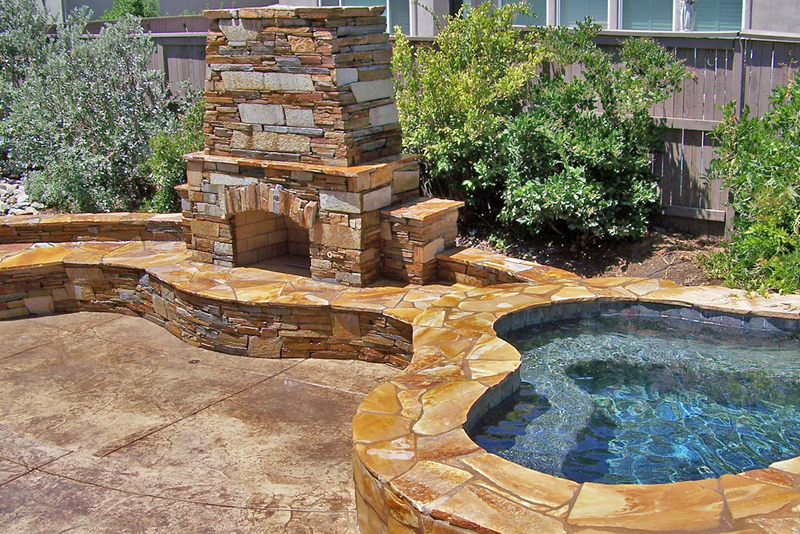 We love taking on custom projects and our goal is to provide you with the ideal outdoor kitchen for your Sacramento, CA home. 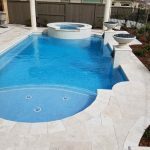 We know that every home and every homeowner is unique, so there is no single design that will work for everyone. 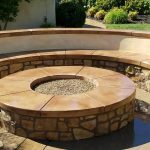 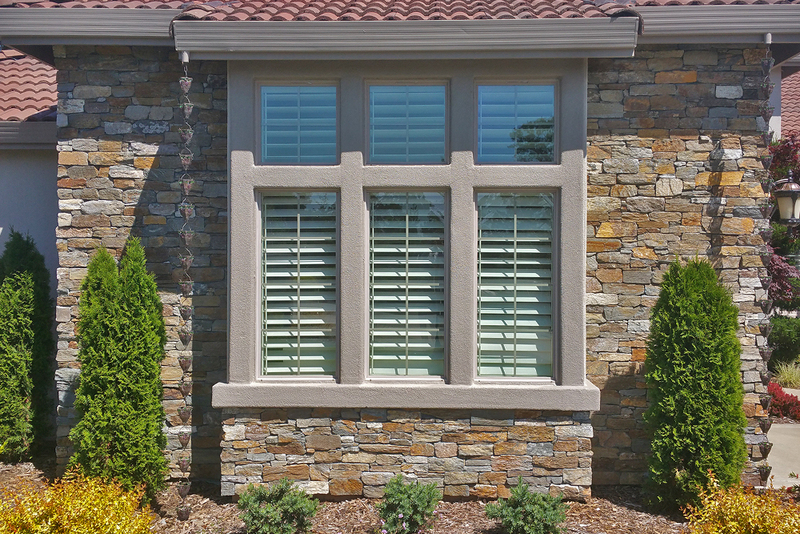 We have many different basic designs you can choose from, and we are always happy to provide modifications and do custom work to turn those basic designs into something that is going to be absolutely ideal for your own home.